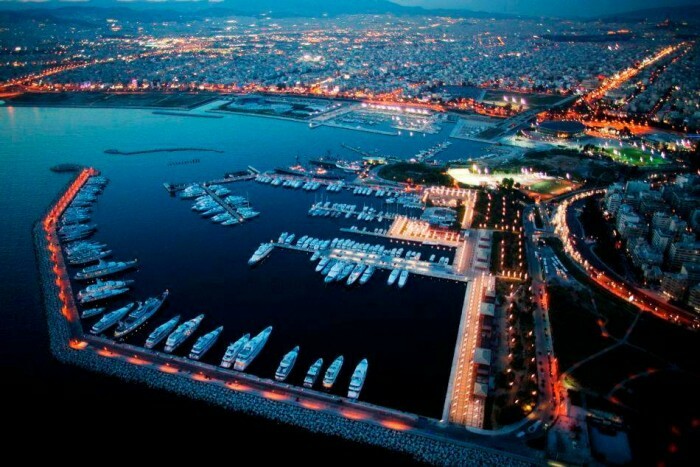 Asia is quietly becoming one of the most sought after destinations for yachting enthusiasts. This is reflected in the ever increasing number of boat shows which will be taking place in the Far East this year. 1,000’s of yachts from the best boat makers will be on show throughout the continent at the Shanghai International Boat Show, the Hainan Boat Show in Sanya and the very first Taiwan Yacht Show amongst others. The most established of these is in Singapore and the much awaited 2014 Singapore Yacht Show finally gets under way tomorrow. Singapore is a country where doing things by half don’t really seem to be an option. Hundreds travel far and wide for the Singapore Grand Prix which is consistently a highlight on the F1 calendar. 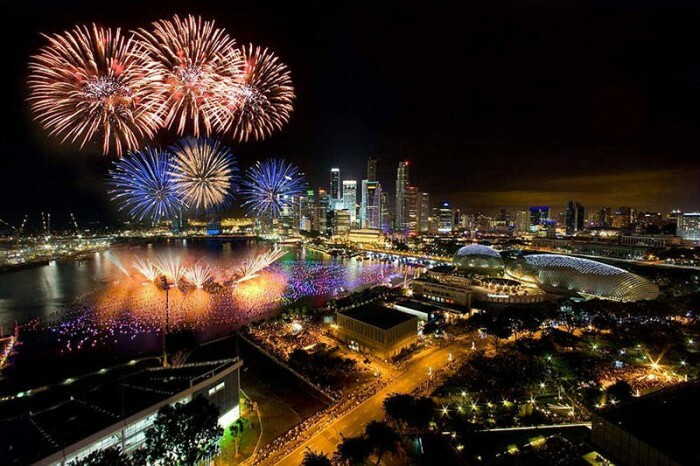 This is far from being Singapore’s only attraction however and while Lewis Hamilton and the finest drivers in the world are off strutting their stuff elsewhere, the Singapore Yacht Show promises to be an event of special magnificence. Some of the world’s largest and most spectacular yachts will be on show and few are more impressive than CLOUD 9. 69m of the most supreme luxury, she is one of the finest example of what there is on offer at the pinnacle of the Super Yachting industry. Boasting an impressive 500 square metres of living space over 5 decks, her volume of indulgent luxury is quite overwhelming. It is hard to pick individual highlights but the bridge deck is breath-taking. The salon on this level converts into a magnificent home cinema and large circular doors at the stern open to allow you to enjoy stunning panoramic views while enjoying a dining experience like no other. The sundeck is also particularly impressive. Up on the top deck, featuring a wet bar, a further dining area, a jacuzzi and a huge sun bed, lazy afternoons will melt away while you enjoy the sunshine in wonderful splendour. Away from CLOUD 9, visitors will be flocking around ROYAL ALBATROS. 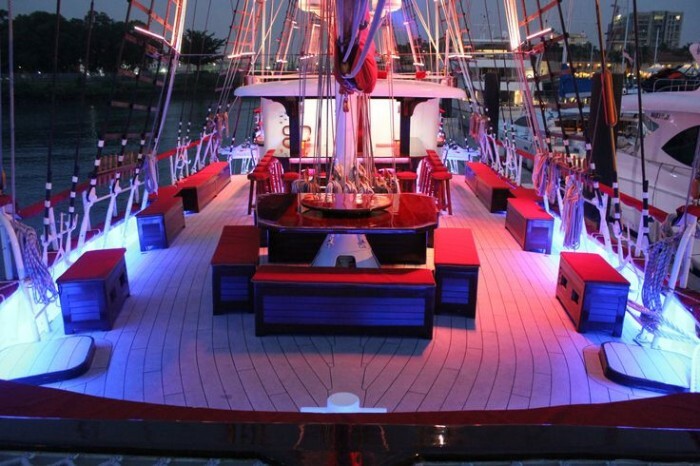 This, the largest charter yacht in Singapore is a majestic example of a traditional sailing yacht. Reminiscent of some of the stunning ships seen in The Pirates of the Caribbean, ROYAL ALBATROS is truly unique. 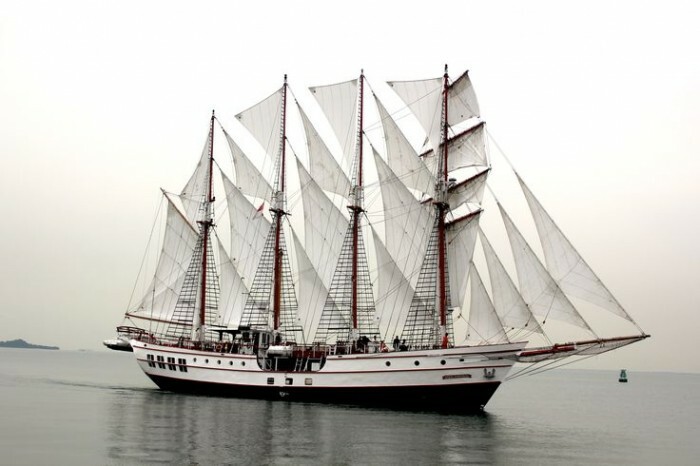 A traditional square rig hoists 22 sails which makes her look just amazing. Rest assured, however that you will not be sleeping in hammocks and battling scurvy on board as per the pirates of old. Air conditioned throughout, she is luxuriously comfortable and with 2 bars, a stunning grand salon and state of the art lighting and audio-visual technology, she possesses all that you need for an unforgettable charter.